David J. Spielman joined the International Food Policy Research Institute (IFPRI) in 2004, and is currently a senior research fellow based in Washington, DC. His research agenda covers a range of topics including agricultural science, technology and innovation policy; seed systems and input markets; and community-driven rural development. His work maintains a regional emphasis on East Africa and South Asia. This post is re-blogged from the IFPRI blog. Imagine agriculture in India as a high-tech, highly mechanized venture. 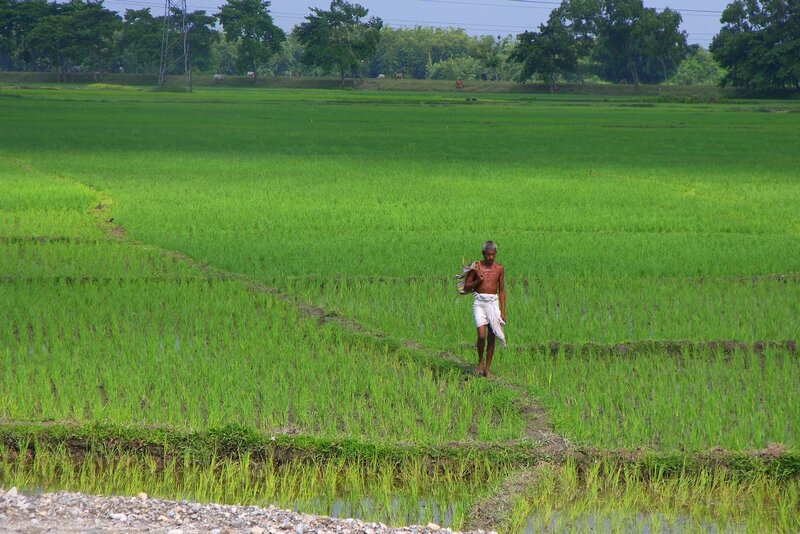 Picture a rice farmer taking soil samples with a handheld meter to gauge nutrient and moisture needs, calibrating planting along plot contours with GPS-guided tools, placing rice in precise rows using a mechanical transplanter, and doing this with the backing of reliable, customized financing. Now picture this farmer as a woman—because most of the men in her village have migrated to the cities in search of better opportunities. It sounds far-fetched, doesn’t it? It certainly doesn’t correspond with our image of poor rice farmers toiling in knee-deep water under the hot sun and monsoon rains, prey to the local moneylender.